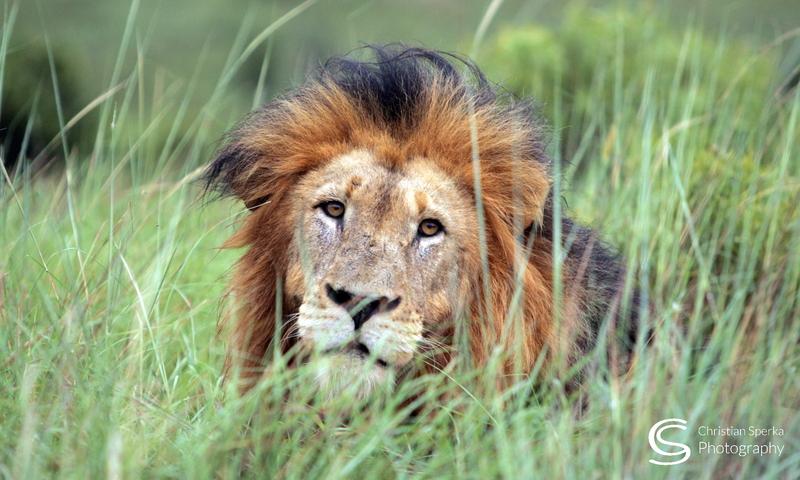 Great news for Cheetah conservation. A Cheetah female on Thanda Private Game Reserve gave birth to four cubs. 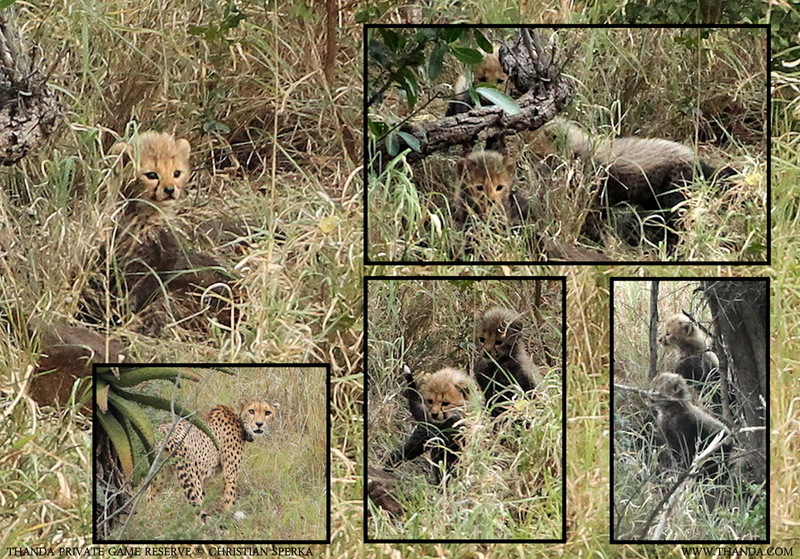 Yesterday we managed to get pictures of the five weeks old cubs for the first time. 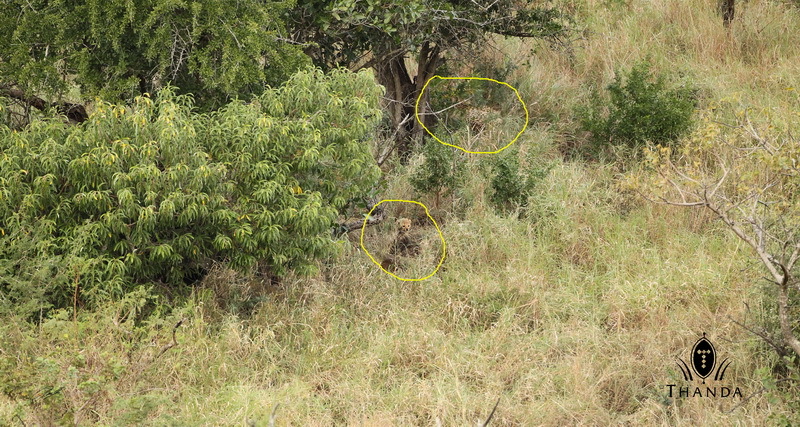 They played around a thicket in which their mum hides them when she goes hunting. The collage shows a few images of the cubs and the mother. Theses pictures were taken with 910 mm lens length across a valley (hence the marginal quality :-)).